The most unique bowling alley in the valley! Eight "no-league" lanes that can accommodate up to ten people per lane. Six pool tables for you to choose from, along with shuffle board, darts and an arcade. 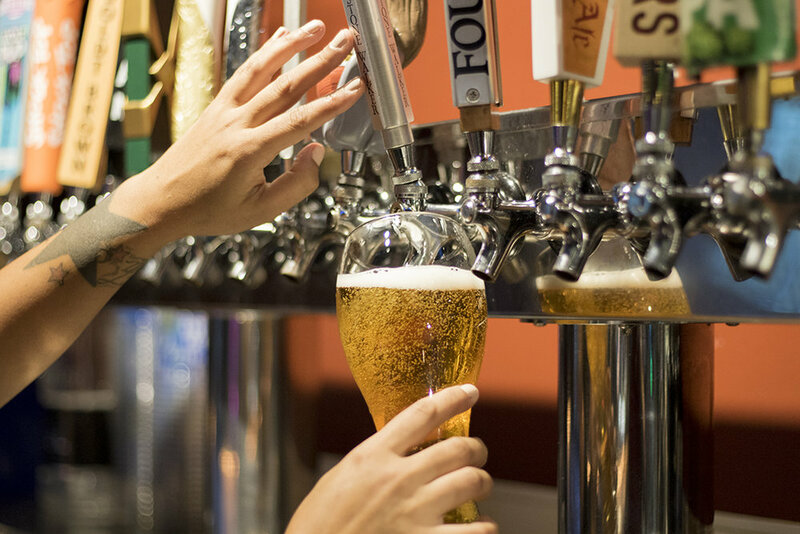 Twenty foot long bar top with thirty beers on tap and a full bar. 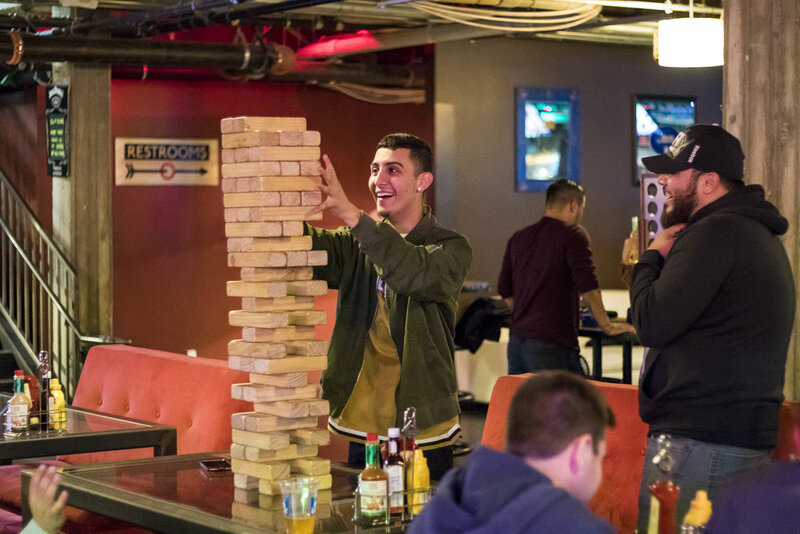 Super sized board games including Jenga, Connect Four and more! 30 Beers on tap, including local brewers such as Lucky Luke, Bravery & Transplants. Enjoy a cold one on our forty foot bar top. 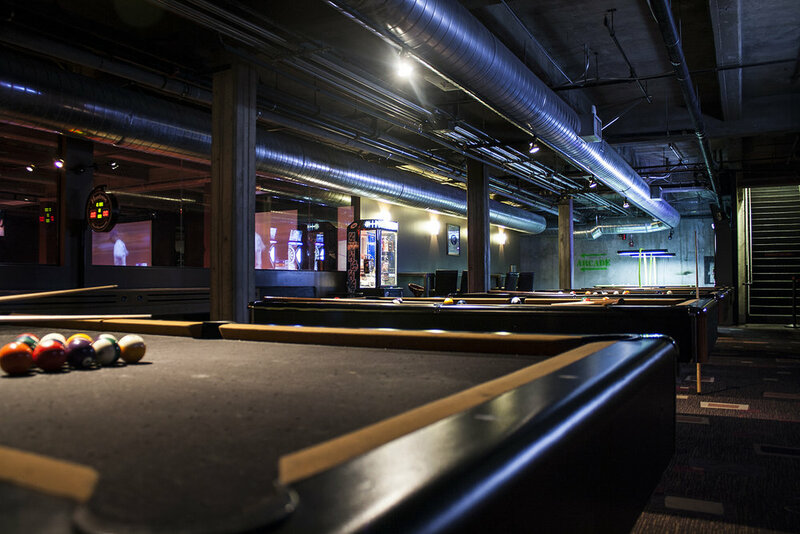 Six billiards tables, electronic darts, shuffle board, air hockey and arcade machines. 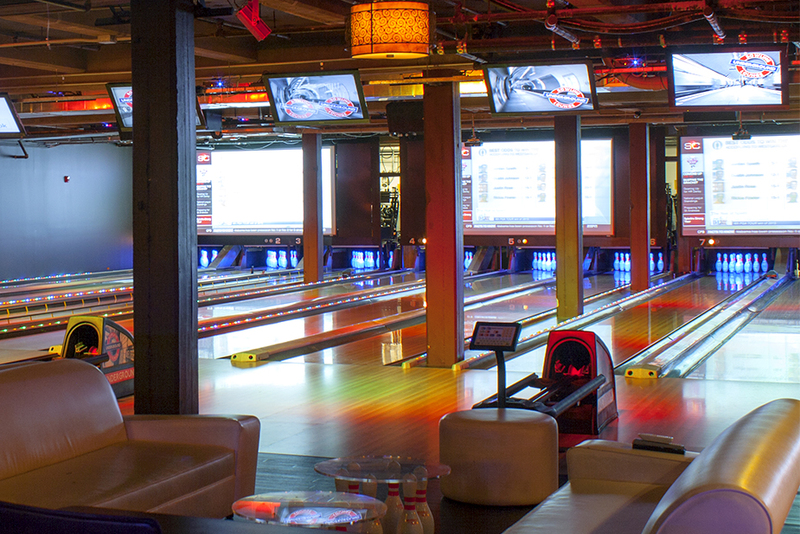 8 "no-League" lanes for bowling. Each lane can accommodate up to ten players. Great for parties!